Most caregiving for the chronically ill or disabled is done by family members and friends. Mundane routine chores like grocery shopping, cooking, housework and bathing are often exasperating for caregivers but even more challenging when there are physical obstacles turn mundane tasks into arduous efforts. But perhaps more striking was when Alyssa and I realized that of the 11 families we were working with, 6 of them had household members with physical or mental health challenges. 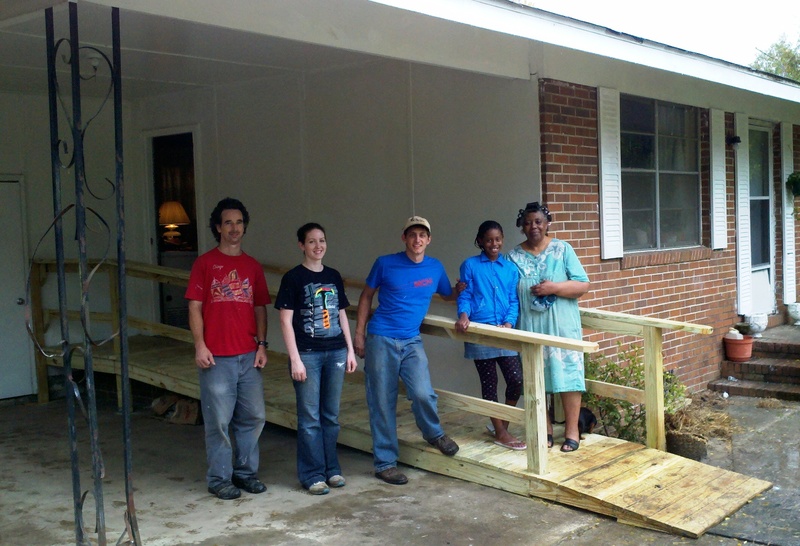 We built several wheelchair ramps, provided grab bars and performed other important work like tightening up some drafty houses that are were too expensive to heat in the winter and cool in the summer. The Greater Blessing repairs were either too complicated or too expensive for the families who were barely getting by financially with their Social Security disability income. These are our neighbors and we introduced our area churches to their plight in hopes that we could make our partner families’ daily routines a little easier for both those receiving care and for the caregivers. There is an obvious connection between housing and caregiving and we need to keep the conversation going because as Mrs. Carter points out, caregiving hits close to home.